Non-Surgical Hair Restoration: Wigs Are Not All They Are Stacked Up To Be! When you decide to take action on your hair loss, you need to weigh your hair restoration options. After seeing your doctor for a diagnosis, you might think a toupee (partial wig) or full-scalp wig is an easy, consequence-free way to cover up the problem. While wigs are a non-surgical means of hair restoration, be aware of the problems associated with wigs before making a decision. With modern advances in hair restoration surgery and medicines, you may be better off without a wig. Wigs can be helpful for temporary hair loss, such as may be associated with chemotherapy and certain medications. (People without hair loss may safely enjoy wearing wigs once in a while for instant styling on special occasions.) Consult with a licensed cosmetologist who will measure your head and select high-quality wig. Be aware that tightly binding your existing hair or using glues adhesives may damage your natural hair. When your hair grows back, stop using the wig. For the more common progressive hair loss, often due to male pattern balding or hormonal imbalances, think hard before getting involved >Continue reading Non-Surgical Hair Restoration: Wigs Are Not All They Are Stacked Up To Be!” />with wigs. If you plan to wear a wig all the time, you can try a wig that is simply placed on the head (over a wig cap and perhaps an added liner or band). Remember that, depending on the length of your remaining natural hair, traction alopecia (hair loss due to tension on the hair) may occur. You might feel insecure that the wig will slip or fall off while exercising, when touched, when a hat is removed, if you trip, or even when the wind blows. Your cosmetologist may want to adhere the wig to your head using glue. The process starts with shaving the head. This weakens your natural hair. You will need to visit your hair stylist for wig maintenance, removal, adjustments and re-attachment. When a wig that is glued is pulled off, stubble on your scalp is pulled out. This is painful and damaging to the hair follicles. The last thing you want to do is damage your hair follicles! Did you know that, with male pattern baldness, some of the hair follicles are genetically pre-programmed to never permanently fall out? The hair follicles in the “fringe” from the top of the ears around the back of the head are not subject to male pattern balding. If you take good care of these hair follicles, you could have some of the hair in this fringe transplanted to the balding areas in the front and top. This type of surgery is called hair restoration surgery or a “hair transplant” or It is conducted in just a few hours on an out-patient basis, local anesthetic (similar to a dental procedure). Several medications can help with certain types of hair loss, but may have side-effects. 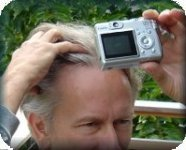 For instance, men or women can obtain Rogaine® (minoxidil) over-the-counter and apply it to the scalp. Men can take Propecia® (finasteride) pills. However, these hair loss medications can have lack-luster results and sexual side-effects, and their effect stops when you stop using them. Before you try a toupee or a wig for hair restoration, look into other options. 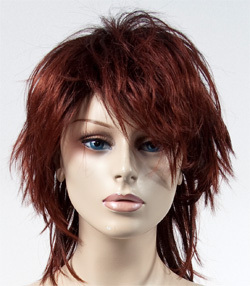 Wigs can be made from natural or synthetic hair. A hair transplant is your own natural hair, it has no significant side-effects and it is permanent. This entry was posted in Baldness, Hair Health, Hair Loss, Hair Loss in Women, Hair Loss Products, Hair Transplant, Hair Transplants on June 18, 2010 by Larry Shapiro.